A perfect bundt cake doesn't depend on a good recipe and fresh ingredients only, but also the best bundt pan that you can use. If you see the bundt pans in supermarkets, you might think that they're all the same, but they do differ in terms of material and design. Since buying the right one could be a little daunting, we made it easier for you by reviewing five popular bundt pan brands currently available. 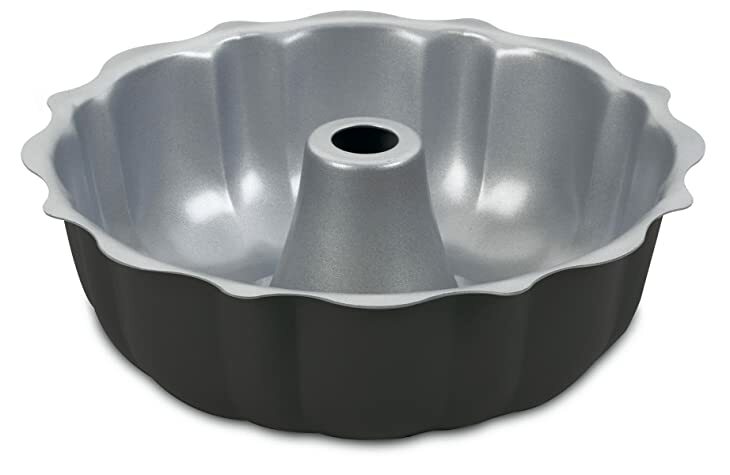 Bundt pans are essential for your baking needs because they can give a unique shape to your cakes. If you like to choose the best one, check our buyer's guideline and product reviews below. 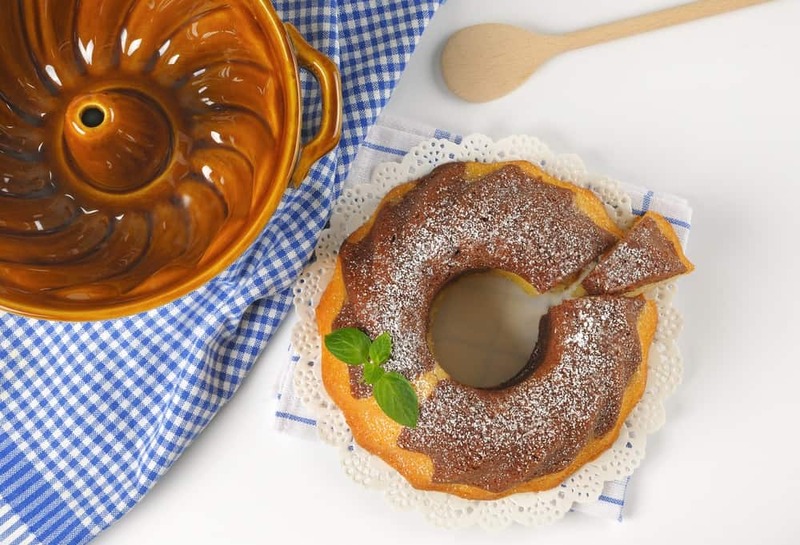 Bundt pans are cake pans that have a special tube and decorative ridges or fluting, making them look impressive than ordinary round and rectangular cakes. They're normally 10-12 cups in capacity and are often made with aluminum, steel, or silicone. Over the years, the design of bundt pans has evolved to different unique patterns, providing more creative options to bakers like you. Although the pan has a nonstick surface, you need to grease the crevices to release the food easily. You can use a baking spray or a vegetable shortening, but most people prefer a baking spray because it's easy to apply. To grease, just apply lightly on all surfaces including the flute. You can watch how to prepare your bundt pan for baking in this video here. The standard size of bundt cake recipes is 10-12 cups, hence you should choose at least a 10-cup capacity pan. Some pans already offer a maximum of 15 cups in capacity. If you're not aware of your current bundt cake pan, fill it water using a cup. The number of cups you used to fill the rim is the capacity of your pan. To get the best value for your money, choose a pan that offers a warranty. In this way, you can be guaranteed to get a new one if ever you purchased a defective one. The longer the warranty period, the more confident the manufacturer is with its quality. 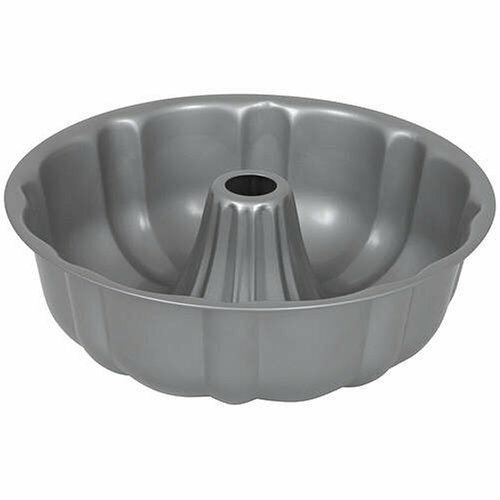 The Nordic Ware Elegant Party Bundt Pan is a 10-cup pan with round and flute shape. The entire pan is made of heavy cast aluminum for sturdiness and even heat distribution. The nice patterns can be transferred sharply into the baked goods perfectly. The nonstick surface ensures great stick-free outputs. The interior is made of a lighter color, specifically platinum, preventing the over browning of your baked goods. Best of all, it comes with a limited lifetime warranty for any defect coverage. 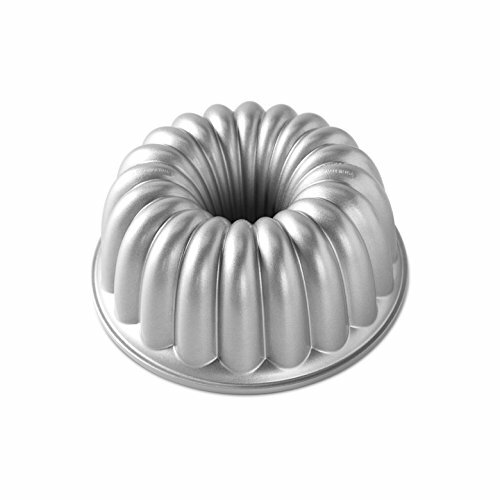 The Nordic Ware Platinum Collection Bundt Pan is made of cast aluminum material for durability and superior heat conductivity. Aside from cakes, it can mold frozen desserts and gelatin. The nonstick finish allows for simple food release and quick cleanup as food don't stick to the pan. This pan can hold as much as 15 cups of batter. You can wash this pan with a mild detergent. To get well-defined patterns, coat the crevices with baking spray or solid shortening. You can grip, flip, and maneuver it easily because it has large handles. The Baker's Secret Basics Fluted Tube Pan is made of proprietary silicone nonstick coating to offer easy food release and even cooking results. With its dark color, you can be guaranteed of favorable browning results. With its 12-cup capacity, you can make standard sized baked recipes. To generate a nice-looking cake, don't forget to use a solid shortening in all creases so the patterns can be carved on the cake. Cleanup is not a problem with this pan as it can be cleaned in the dishwasher and the cake doesn't stick to the surface. The Cuisinart AMB-95FCP is made of heavy-gauge aluminized steel and thick rolled edges to prevent your pan from warping as time goes by. The steel doesn't only produce consistent baking results but also an even heat distribution. It heats evenly plus you can wash it safely in a dishwasher for convenience. The Whitford Xylan non-stick coating allows the release of food easily. In case you bought a defective one, don't worry because you can get it replaced with its limited lifetime warranty. Whatever the baking activity is, you can be ensured of great performance with Cuisinart Chef's Classic Nonstick Bakeware. The Faberware Fluted Mold is made of heavy-duty carbon steel that can withstand the pressure of the busiest kitchen. The pan heats evenly to help minimize hot spots and resists warping effectively. Both the interior and exterior are made with a nonstick finish to provide great food release and easy cleanup. 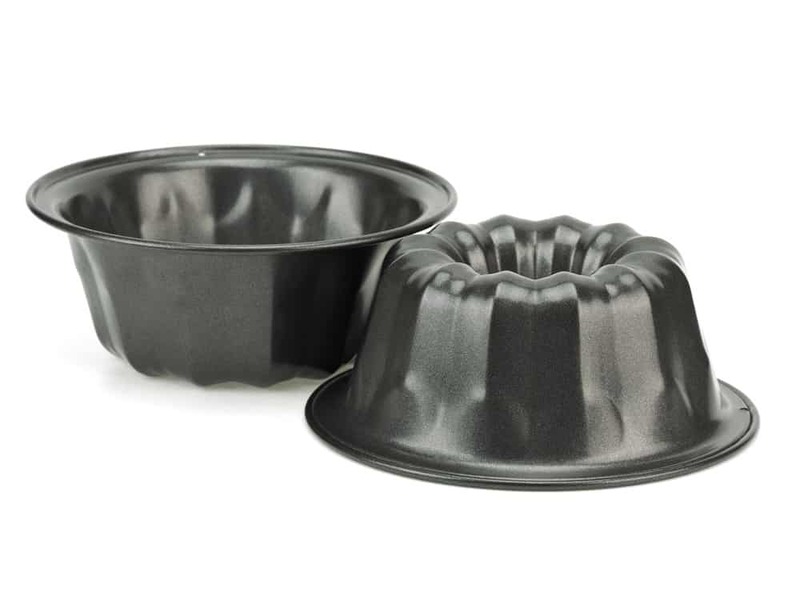 This nonstick mold can remain safe in the oven up to 450 degrees Fahrenheit (F). You can make a glazed orange pound cake or special quick breads. Its versatility surely is a great addition to your other baking equipment. 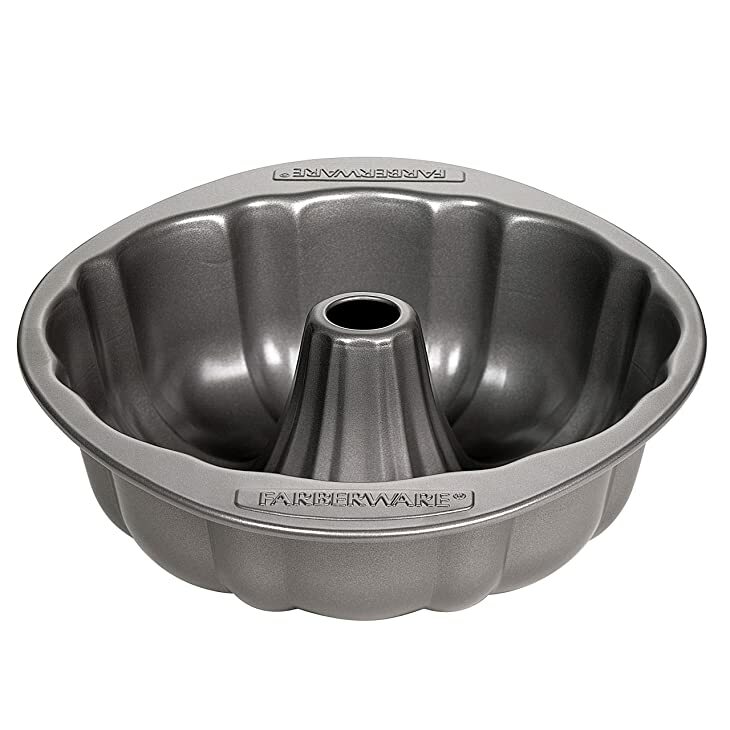 Out from the five products reviewed above, the best bundt pan is NordicWare Elegant Party Bundt Pan because it has almost all the features that we're searching for. It has a nonstick finish, a lighter color, and a durable cast aluminum construction. It comes with a limited lifetime warranty to get replacements in case you get a defective one. The pan has sharp patterns and a narrow outside rim for flipping. 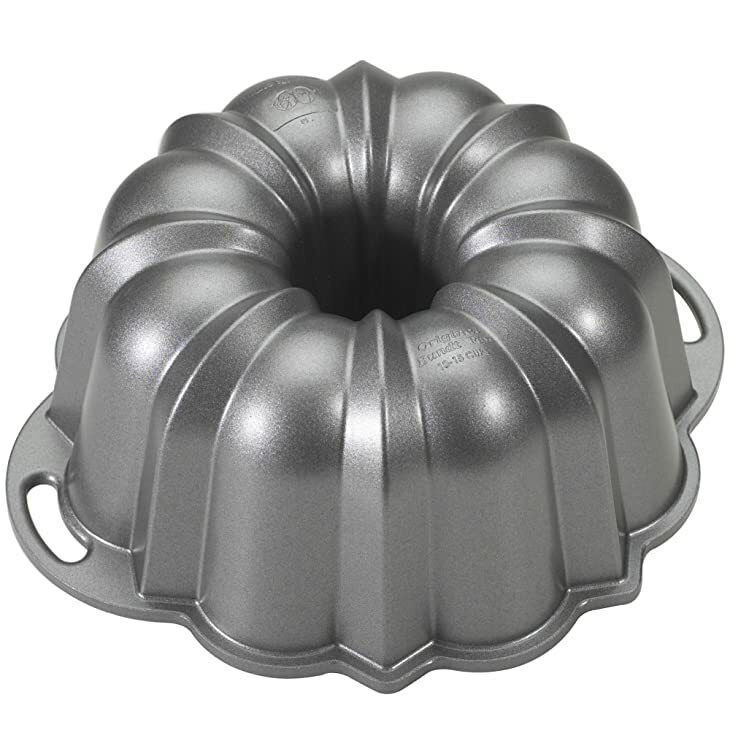 If you've tried buying or using a bundt pan already, we like to hear your thoughts in the comments section below. Don't hesitate to share this wonderful article if you like it.